When I last focused on Boston more than a month ago, we left Washington during the summer of 1775, trying to get his officers to stop bickering with one another, creating the filthy mob he found in Cambridge into an army, and dealing with a shocking lack of ammunition. In hindsight, the lack of ammunition may have saved the patriot cause. Washington, by nature, was one to rush into an attack and expected all of his men to behave as bravely as he did. That tendency led to his defeat in the Ohio Valley twenty years earlier. But even the daring Washington would not presume to attack Boston without sufficient ammunition to arm his soldiers. This forced the General to spend more time training and organizing his army. Washington really wanted to invade the city of Boston right away and finish this war as quickly as possible. By autumn he had acquired a little more gunpowder and was ready for a real fight. At a council of war, he proposed using a fleet of small whaleboats to cross into Boston, and storm the regulars in street fighting. His council of war unanimously rejected the proposal. Getting men to defend an entrenched position was one thing. Getting them to row across open water, while being attacked by navy cannon and regular musket fire, then make an amphibious landing and assault an entrenched army, was really too much to ask. Even if the men did not retreat in the face of withering fire, most of them would be mowed down before they reached shore. It was a crazy plan. His subordinate officers were more tactful in their comments. Gen. Charles Lee said he was not well acquainted enough with the army to judge if the soldiers could do it, and therefore felt it was too great a risk. 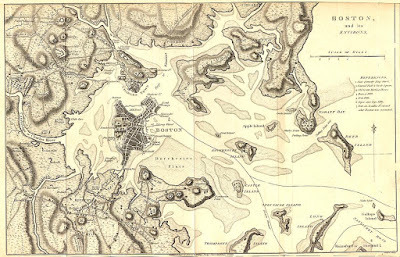 Gen. John Sullivan argued that it might be better to wait for winter, when Boston Harbor froze solid and the soldiers could walk across the ice. Gen. Artemas Ward still argued that they should just occupy Dorchester Heights with artillery. From there, they could blast the city or the navy in the harbor, and force the British into another Bunker Hill style assault. Washington brought up his water invasion proposal several times over the next few months, only to be frustrated that no one else wanted to go along. When a committee headed by Benjamin Franklin visited the camp in September, Washington discussed his proposal with them. Franklin, who had no first hand military experience, diplomatically suggested that he was not qualified to make any recommendation on the proposal, but would refer the question back to the Continental Congress for more discussion. Although Washington’s attack plans were, at best risky, there was more behind his thinking than simple impatience. The Continental Army was plagued with disease. Smallpox, dysentery, and other illnesses would kill hundreds of soldiers over the course of the winter. Also, the men had little food, shelter or clothing to get through the winter. Congress’ ability to provide such necessities was dubious. Finally, most of the army had signed up for duty through the end of the year. If nothing happened by December, most of the soldiers might return home rather than sit for more months in a disease infested camp where they starved and froze. Despite these concerns, all of Washington’s officers thought a suicide march into British guns did not make any more sense. With Washington’s attack plans frustrated, the two armies continued their siege with only minor skirmishes to break up the monotony of camp life. One of the biggest problems of having a standing army with little to do, is that the soldiers get bored and then get into trouble. Some of the biggest troublemakers turned out to be the riflemen. Congress had authorized riflemen from Virginia and Pennsylvania to join the Continental Army. By fall, the army had over 1400 of them. The great benefit of rifles, as I have mentioned before, is that they can hit a man at 200 yards, while a musket is only good at around 50 yards at best. Most soldiers still used muskets, because rifles took too long to load, and quickly became fouled after multiple shots left a crusty buildup inside the barrel. 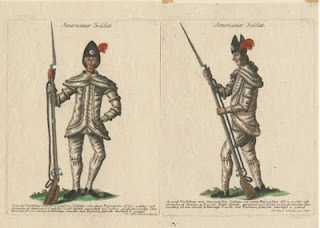 Despite these battlefield limitations, riflemen proved highly valuable for picking off sentries across the harbor, and could be used to take out officers during a battle. These were also the first soldiers to join the army from outside New England, meaning the grateful New Englanders wanted to show how happy they were to have them. The Virginia, Pennsylvnaia, and Maryland riflemen serving under officers like Daniel Morgan, William Thompson, and Michael Cresap became heroes around camp, impressing soldiers with their marksmanship. The men stood apart from the rest of the army, with their frontier style hunting shirts. They received preferential treatment with their own separate encampments and an exemption from fatigue duty. Of course, the special treatment went to their heads, and riflemen began to think they could get away with anything. They spent most of their days and nights sitting around drinking and telling each other about exploits from their lives on the frontier. They also developed an attitude that they did not need to take orders from anyone. On September 10, one of the officers in Thompson’s Rifle Brigade had a sergeant arrested for neglect of duty and threw him in the stock-house. Several of his buddies discussed breaking him out, as they had done for other comrades a couple of times before. After the officer heard about the discussions, he also ordered the arrest of the ringleader. A few hours later, the men broke out of the shack where they were being held and went back to their company. At this point. Col. Thompson and his officers recaptured the prisoners and ordered them taken to the main guardhouse in Cambridge. About 20 minutes later, 32 riflemen took up their weapons and started marching to Cambridge with the intent of freeing their comrades. Thompson then sent an express rider to Washington, explaining what was about to happen. Washington, who was all about military discipline, was not going to allow soldiers to engage in jailbreak without consequences. Upon receiving the message, he quickly assembled 500 soldiers with loaded muskets and fixed bayonets. They surrounded the guardhouse where the prisoners were being held. Washington then rode out personally to intercept the riflemen still marching toward headquarters. Seeing the large guard assembled, the riflemen decided this was not such a good idea after all. They took cover behind some trees. Washington rode out and ordered them to ground their rifles. He had six of the ringleaders arrested and marched the rest back to camp for local punishment. Now in the regular army, a mutiny like this would likely result in some executions. But Continental officers realized that lax discipline up until this time was probably partially responsible. The men would likely become good soldiers under proper discipline. The following day, a court martial sentenced all of the mutineers to a mere fine of twenty shillings each. One mutineer served an additional six days in jail, but no one even got flogged. The incident seemed to bring the riflemen into line. Washington also saw to it that the riflemen started to work on fatigue duty to help keep them busy. 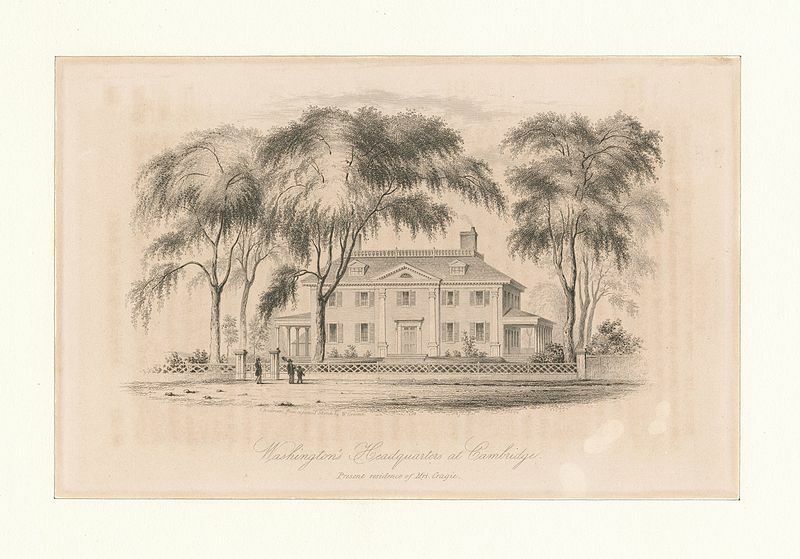 As Washington waited in Cambridge mostly trying to keep his bored army in line, he followed events in New York as Gen. Schuyler and Montgomery began their assault across Lake Champlain toward St. Jean. 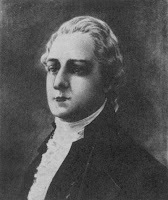 In late summer, Col. Benedict Arnold had come to Cambridge to fight with the Provincial Congress about paying his expenses for taking Fort Ticonderoga. During his time in Cambridge, Arnold met Washington and discussed a whole range of military and political issues with him. Despite Arnold’s abrasive personality, Washington seemed to respect his initiative and ability. Arnold was a fighter, not some politician/officer who had only talked a good game so far. After further discussion, Washington gave Arnold an independent command. Arnold would take a force by sea up to what is today Maine. From there, his army would march overland toward Quebec. There, they would meet up with General Schuyler and work together to take the city. Given Arnold’s previous history in defying orders of superior officers, Washington made very clear to him that once he met up with Schuyler’s force, his independent command came to an end, and he would follow orders from Generals Schuyler or Montgomery. 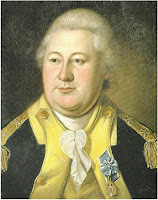 Arnold, who had been a Col. in the Massachusetts militia, received a commission as a Colonel in the Continental Army. Washington gave him a command of about 1100 soldiers, including a few companies of highly prized riflemen. Arnold’s brigade set off for the Kennebec River in Maine some time in September. We will take up that mission in a future episode. With Arnold off to Quebec, Washington soon found he had a much more serious issue to deal with: treason. As I mentioned in earlier episodes, Benjamin Church, head of the Massachusetts Committee of Safety, and now chief medical officer for the Continental Army, had been sending messages to General Gage in Boston since well before Lexington and Concord. With military lines now preventing anyone from entering or leaving the Boston, messages had become increasingly difficult. The Royal Navy still maintained a presence at Newport, Rhode Island where it was easier to interact with British officers. Church wrote a letter addressed to a Major Cane Cane in Boston. He wrote the letter in cypher to avoid detection. The letter called for more attempts to reach a peaceful settlement, but also gave the British intelligence about the troop numbers of the Continental Army and their munitions. It discussed the planned attack on Canada as well as events at the Continental Congress. Church could not deliver this letter personally, even in Newport. His visit to Boston on the day after Lexington and Concord still left many leading patriots suspicious of him. Instead he used a woman as a courier. Some accounts say she was one of his mistresses, others that she was a prostitute, although those characterizations may be a way of lowering Church’s reputation after the scandal broke. The woman hid the letter and attempted to reach Captain James Wallace of the HMS Rose at Newport. Since she did not know Wallace, she asked an old friend named Godfrey Wenwood to introduce them. She let slip to Wenwood that she had a letter she needed to get to Boston. Wenwood, a patriot, grew suspicious. He told her that she might be in danger if she delivered the letter. He got her to give him the letter and said he would take care of it. Wenwood opened the letter and saw that it was in cipher, making him even more suspicious. After a few weeks, Church somehow found out his letter had not yet arrived. He wrote the woman to ask, and she again turned to Wenwood. Now convinced that this message was no good, Wenwood delivered it to patriot leader Henry Ward in Providence. Ward sent it to Gen. Nathanael Greene who then informed Gen. Washington of the letter. Washington had the woman arrested and interrogated. They agreed to keep the woman’s identity a secret if she identified who gave it to her. Eventually, she gave up Church’s name. Washington then had Church arrested and his papers searched. Either Church was extremely careful, or got an advance notice of the search, but nothing in his papers turned up anything improper. Washington had the letter deciphered. Church admitted it was his and that the translation was correct. However, he argued that his intent was not espionage. He had deliberately overstated patriot strength in an attempt to get Gen. Gage to negotiate a peaceful solution to the siege. Washington ordered a court martial, but that only raised a whole host of legal questions. First, the Continental Congress had not passed any laws against treason. Massachusetts defined treason as defying the King. If anything, Church was working for the King, at least more so than any of his accusers. Even if there had been a treason law, many were divided on whether Church was a traitor or just an idiot. For the moment, the court martial simply ordered Church confined until the Continental Congress could decide what to do with him. Next, the Massachusetts House of Representatives, which had recently replaced the Provincial Congress, began proceedings against Church. Again, he argued he was passing along misinformation in an attempt to force Gage into peace negotiations. The House did not buy his story. It ruled that, although he was in military custody, if ever released, he should be held for trial by Massachusetts. In October 1775, the Continental Congress formally removed Church as Physician-in-Chief of the Army. Church would linger in a Connecticut prison for over two years. At one point in 1777, the British tried to return him to England as part of a prisoner exchange, but the plan fell through. In January 1778 Massachusetts ordered him expelled and placed him on a ship headed for Martinique. That ship, disappeared in the Bermuda Triangle, never to be seen again. So with that, Church was gone forever. His family made it to London where the government gave his wife a pension for her husband’s services. The patriots were never entirely sure if Church was a full blown traitor or not. It was not until more than a century later, when historians got ahold of Gen. Gage’s personal papers, that they found Church had been passing intelligence to the British for months. Church’s arrest also ferreted out another spy. Benjamin Thompson was prominent New Hampshire colonist. Although strongly loyalist, he had pretended to be a patriot for years to protect his property from destruction or confiscation. He had apparently assisted Church in delivering some messages to Gage. After Church’s arrest, Thompson made his way to Newport and caught a ship into Boston. From there, he traveled to London where he eventually received a commission in the British Army. He returned to fight with the regulars in New York later in the war. In November, Washington appointed a new artillery commander for the army. The current artillery chief, Richard Gridley had given a rather mediocre performance at Bunker Hill. While not court martialed like his son, his battlefield performance was not exactly inspiring. Washington still valued his services as the army’s chief engineer, but turned over command of the artillery to Henry Knox. Like many appointments, Knox seems like a questionable choice to command all artillery for the Continental Army. The 25 year old had owned a bookstore in Boston before the war. On the day of Lexington, he fled the city with little more than a sword and his wife. The British later looted and trashed his bookstore. Knox’s military experience was limited mostly to reading military books in his store. He had volunteered with the colonial militia and had some simple artillery training there. In 1773, he managed to blow off two of his own fingers while firing a fowling musket at wild birds. Knox had also been an active member of the Sons of Liberty, but he never saw any combat. He did some reconnaissance during the battle of Bunker Hill, but never fired a weapon in battle, nor did he receive a commission or enlist in the provincial army. He did work on military matters as a civilian volunteer, what we today might call a consultant. When Washington came to Cambridge, Knox, along with his apparently very attractive wife, Lucy, dined with the new commander on several occasions. Washington was apparently impressed with the young man’s ideas for the new army’s artillery. On November 17, Washington agreed to make him commander of artillery in the Continental Army. A few weeks later, Washington dispatched Col. Knox to Fort Ticonderoga to retrieve the captured artillery for use against Boston. Knox set out on his first mission, which will be the subject of an upcoming episode. By September, it had become clear to Washington that there would be no break in the siege by the end of the year. He wrote a series of letters to the Continental Congress explaining why things would continue and requesting that Congress prepare for winter quarters and clothing for the army. He also expressed concerns over expiration of enlistments in December and the lack of funding to supply the soldiers with what they needed to continue. At a council of war on October 8, Washington and his Generals agreed they would need over 20,000 soldiers for the 1776 fighting season. Washington hoped to form 28 regiments of Continental regulars who would serve until the end of 1776. He also attempted to mix together men from different states, so that regiments would not be exclusively Massachusetts men or Connecticut men. The command changes upset many soldiers who now wanted to leave even more. Congress, which still had no money or much of anything else to help Washington, gave authority to impress wagons, horses, ships, and anything else he needed to supply his army. By the beginning of September, less than 5000 men had enlisted for 1776, less than a quarter of Washington’s goal. Even if Washington had enough food, clothing, and shelter for a 20,000 man army, the men were not eager to reenlist. Most were looking forward to returning home in December. Washington tried to encourage re-enlistments. He promised soldiers an opportunity to return home for a visit over the winter. He also began rationing supplies to those units that agreed to reenlist. Even so, most men would not budge. He even required that any man leaving the army could not take his musket. Even though most men had brought their personal weapons, they would be forced to give them to the army and receive a promissory note for the value. At the beginning of December, the enlistments of several Connecticut regiments expired. Several units even picked up and headed home a few days before their December 10 expiration. The officers tried everything to get the men to remain. An exasperated Gen. Lee threatened to order the men to charge Bunker Hill (where they would almost certainly be mowed down by British defenses). The men would not be moved. On December 10, most of them returned home. That was not the end though, on their trip home, locals treated them like deserters and refused any assistance or accommodation. When they got home, they found the sentiments of their townspeople similarly cold. Many of the men would eventually return to duty. By the end of the year, Washington had succeeded in enlisting almost 10,000 men for the following year, about half his goal. Several more regiments, though refusing to commit to another year, agreed to remain until more reinforcements arrived. Local militia also fielded about 5000 men for temporary duty. 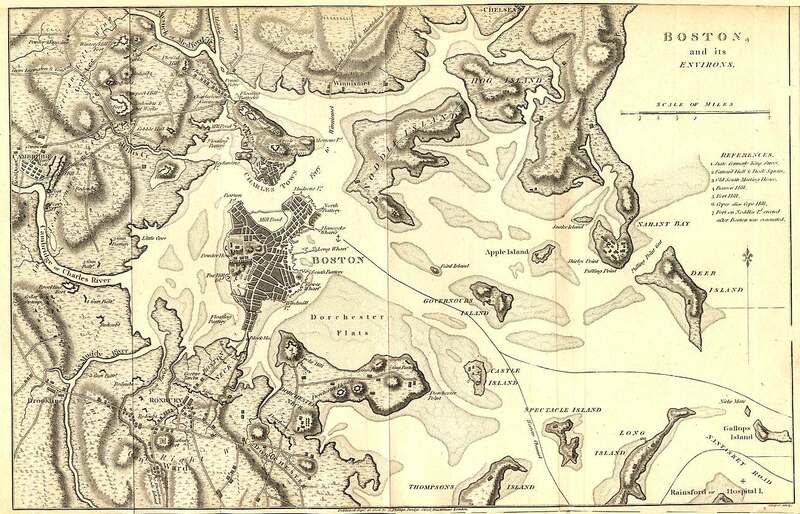 As a result, Washington’s total force remained over 15,000, or more than double the British garrison in Boston. Hsiung, David C. "Food, Fuel, and the New England Environment in the War for Independence, 1775-1776" The New England Quarterly, Vol. 80, No. 4 (2007), pp. 614-654: http://www.jstor.org/stable/20474582 (free to read online, requires registration). Brooks, Noah Henry Knox, a Soldier of the Revolution, New York: G.P. Putnam’s Sons, 1900. Parsons, Theophilus Summary of the proceedings against Dr. Benjamin Church in court-martial for treason, October, 1775, General Washington presiding [manuscript] 1775.